Happy Friday everyone! I feel like I should have a great story to tell you, but I don't. So let's just get right into the project! 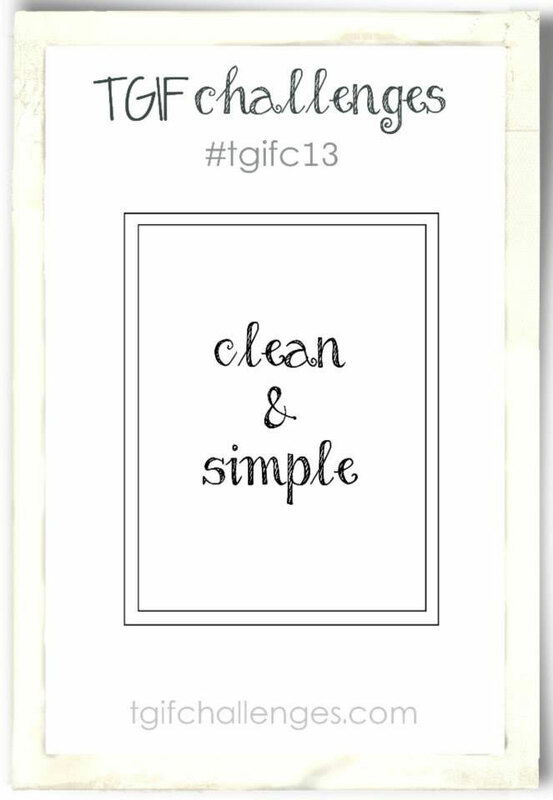 The new challenge over on TGIF Challenges is a clean and simple theme. The biggest thing about this challenge is to keep the layers to a minimum. 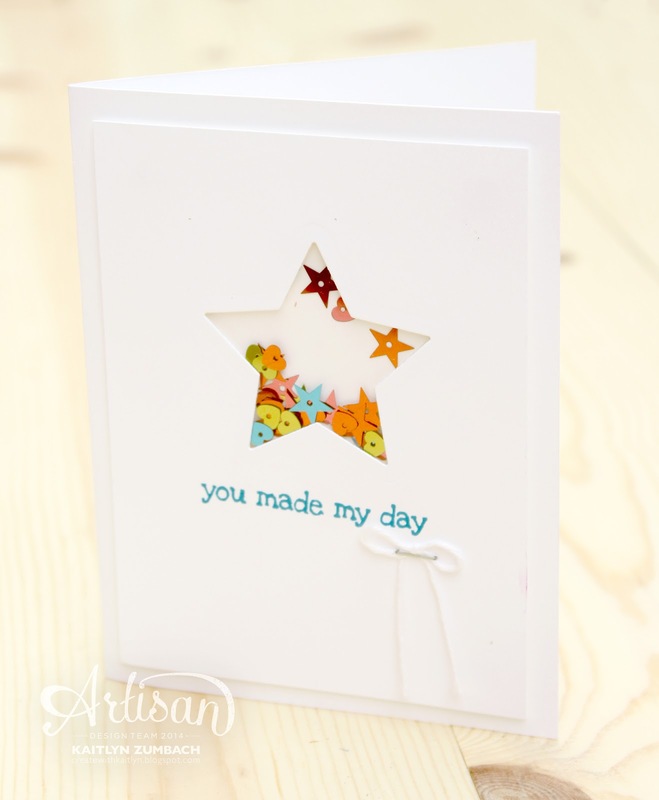 Also, when I think of a clean and simple, I think of a card with a lot of white space. I might have cheated a little bit with the shaker. Would you consider it to be simple? At least it looks simple. I love how the bright colors of the sequins pop against all of the white. I went with a star shaped window to compliment the stars in the sequins. 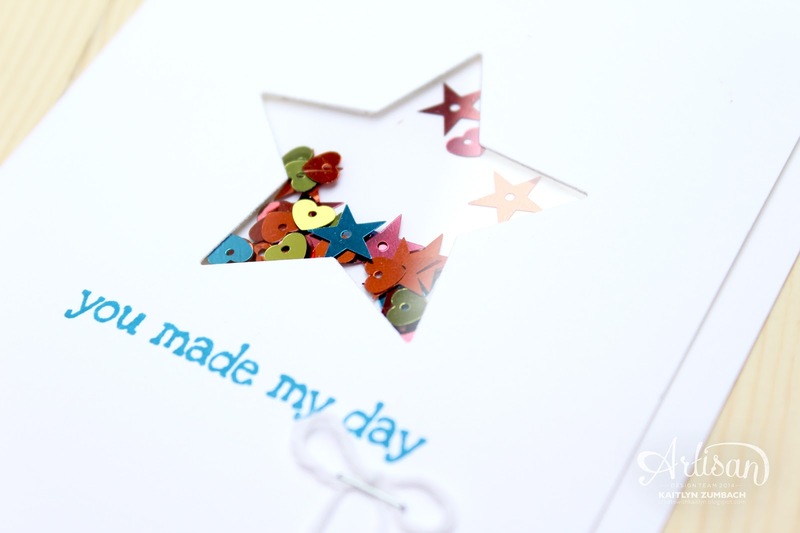 A sweet sentiment and little bow finish the card quickly. Be sure to head on over the TGIF Challenges to join the fun yourself! Such a cute card! And yes, it's still simple!